On August 26, 2009, Daphine Priscilla Brown-Jack thought everything was fine. While driving home from work, she began to reflect on her day, grateful for all her blessings. But just as her gut instinct told her something was wrong, her phone rang. As her daughter relayed news of an allegation against her husband--the man who was always serving and loving God and his family--Daphine's life plunged into turmoil. Suddenly, nothing was fine. In the coming months as the situation in her home grew unbearable, Daphine knew she could no longer depend on anyone and turned to her only remaining hope and strength: God. 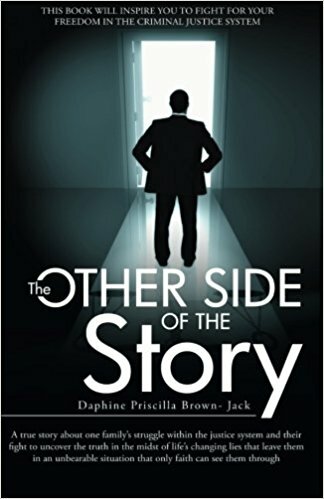 As she relives the emotional experience of watching her life fall apart before her eyes, Daphine provides a compelling glimpse inside her personal journey as she separated fact from fiction, navigated through the criminal justice system, and learned to trust in God's purpose and plan for her life. 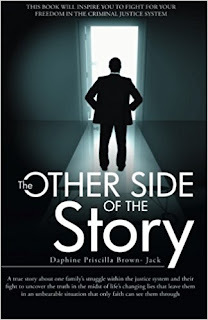 The Other Side of the Story is the inspirational true story of one woman's struggles within herself, her family, her faith, and the justice system after her husband is wrongfully accused of a crime.